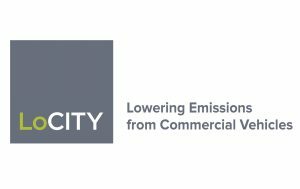 LoCITY Driving is a classroom-based course for both HGV and van drivers, focusing on practical ways drivers can reduce their vehicle emissions. Driver CPC-accredited and DVSA (Driver and Vehicle Standards Agency) approved, this award winning course will not only help minimise the environmental impact of your fleet but can also help cut the overall costs of your operation. Funded dates are available in May and June for Birmingham and Wembley. More dates will be added in the near future. To find out more and to book your place, please visit here.